Like the ice shelves that support their breeding colonies, emperor penguins are creatures of both land and sea. They are well adapted to the extreme cold of an Antarctic winter, with four layers of scale-like feathers. Mature birds, both male and female, stand about 70 centimeters (27.5 inches) tall, and both are remarkable divers. They gorge on an assortment of fish, krill, and squid. By the time they join their colonies to breed, in late autumn, they can weigh up to 40 kilograms (88 pounds). Pairs mate and lay a single egg. As winter descends, the male draws on his body reserves to incubate the egg and raise the chick, while the female leaves the colony to feed. The emperor penguin is the only animal to breed in the extreme cold of the Antarctic winter, and the males must rely on one another to survive. They do so, in a rare and remarkable demonstration, by huddling together in tight groups to share warmth and resist the freezing katabatic winds that blow down from the polar plateau. The birds take turns standing on the outer edge of the group. One by one, they peel off the windward side and shuffle along to the leeward side before rejoining the huddle, all the while balancing their precious single eggs on top of their feet. By the time the females return, in July, the males have lost almost half their body mass. The chick-rearing season then runs from August to December. Edward Wilson, an assistant surgeon on the Discovery expedition that set sail for Antarctica in 1901, developed a particular interest in emperor penguins when he discovered the first-known breeding colony, on sea ice under the cliffs of Cape Crozier, on Ross Island. Finding that the chicks were fledgling in December and January, he speculated that they must have hatched from eggs laid during the coldest months of the year, a breeding cycle that was “eccentric to a degree rarely met with, even in Ornithology.” He made several visits during the expedition, observing that the chicks seemed to have an extraordinarily high mortality rate of about 70 percent. Few Antarctic explorers had even seen emperor penguins, much less witnessed their breeding practices, and to naturalists of the day, they represented an intriguing evolutionary mystery. The scientific consensus was that they were a primitive form of bird. Wilson was aware of an archaeological discovery made in 1861 of the fossilized remains of a small dinosaur, Archaeopteryx, in Jurassic-era limestone in Bavaria, Germany. 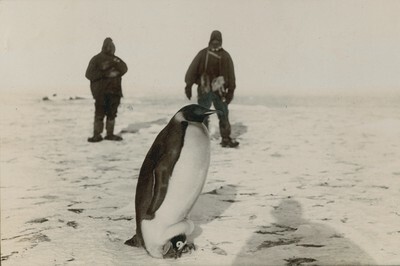 Its features placed it somewhere between a reptile and a bird, and Wilson was keen to examine emperor penguins at different stages of development in the hope that they might reveal their evolutionary secrets. When Wilson returned to Antarctica with Robert Falcon Scott’s Terra Nova expedition, in 1910, he was keen to test a theory proposed by the German zoologist Ernst Haeckel that the evolution of species was mirrored in their embryonic development. According to the theory, embryos of more advanced species, such as humans, passed through stages in which they displayed the adult characteristics of their more primitive ancestors. Wilson thought that studying emperor-penguin embryos might reveal an evolutionary link between birds and reptiles. 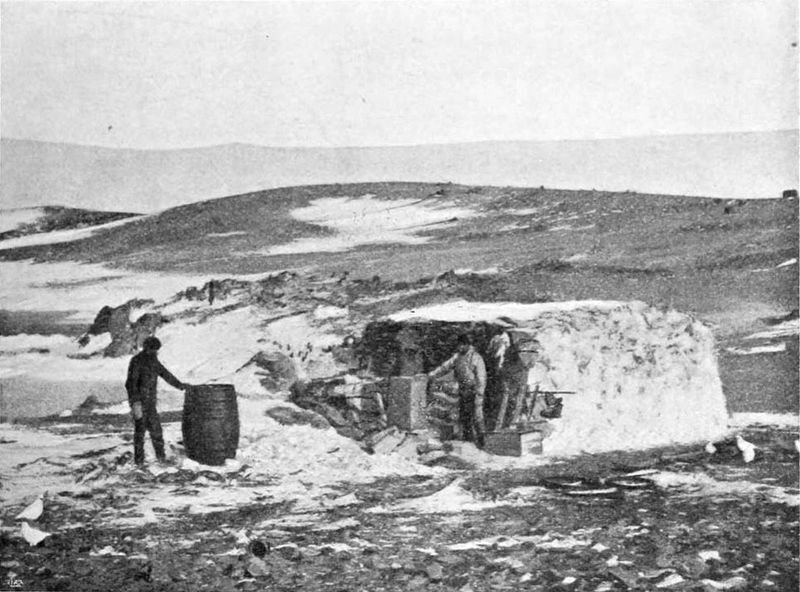 In the depths of the 1911 winter, Wilson left Scott’s base camp with the expedition’s assistant zoologist, Apsley Cherry-Garrard, and Henry “Birdie” Bowers. They trekked 100 kilometers (62 miles) in complete darkness and temperatures as low as –60 degrees Celsius (–76 Fahrenheit) to reach the emperor-penguin breeding colony at Cape Crozier that Wilson had sighted 10 years earlier. Fewer than 100 penguins were there, all huddled together under the barrier cliff and trumpeting loudly as the men approached. The men managed to retrieve five live eggs, keeping them inside their mittens for warmth. Two broke on the journey back to the base camp, but Wilson managed to cut open and remove the embryos from two of the remaining three eggs, which he pickled and eventually delivered to the Natural History Museum in London. Sliced and mounted onto slides, the embryos remained unexamined until 1934. By then, the evolutionary theory that inspired the expedition had been rejected. Three years after Wilson’s harrowing winter trek, in August 1914, Ernest Shackleton led his second expedition to the Antarctic ice. The Endurance left the Grytviken whaling station on South Georgia Island on December 5, 1914, and within two days, Frank Worsley, the ship’s master from New Zealand, was steering through sea ice. Worsley had enthusiastically signed up for his first voyage into the Southern Ocean. He was an experienced navigator and a meticulous man by nature, and his charts, logs, and diaries ultimately survived as the only written records of the expedition, providing the raw material for both his and Shackleton’s later accounts. On January 10, 1915, Worsley sighted part of the Antarctic continent called Coats Land. The water was “turgid with diatoms,” and the nearby sea ice was crowded with an assortment of crabeater seals, seabirds, and Adélie and emperor penguins. This was a polynya, an area of open water, that formed and re-formed annually along the Weddell Sea coast as a result of strong katabatic winds. By the week’s end, the vessel was caught fast in sea ice and drifting away from the coast. These were midsummer months, but the temperature fell to –50 degrees Celsius (–58 Fahrenheit), and the sea ice eventually froze into a solid mass around the ship. The Endurance drifted in the pack for more than nine months. On November 21, 1915, it was finally crushed. An attempt to sledge to land failed, and Shackleton decided that the drifting ice floe christened Patience Camp would be their best chance of reaching safety. When early polar explorers began to traverse the icy expanses of the Antarctic continent, they were surprised to see the abundance of life around its edges. Aboard the Terra Nova in 1910, Scott observed the myriad creatures that could be found living amidst the sea ice. At the edge of every ice floe was an assortment of crabeater seals, snow petrels, and Adélie penguins feasting on a banquet of krill. Sea ice is notoriously fickle. The ship might enter an area of thin ice that gave way easily, only to be brought to a halt by a small floe that seemed to Scott to be “possessed of an evil spirit.” On occasions, caught between two floes, the Terra Nova would swing around and fall away, then drift to leeward before the next assault on the ice. Each maneuver could take up to half an hour, and Scott found himself being entertained by groups of Adélie penguins diving for food under the ship. He thought them “wholly ludicrous” on the ice, but underwater their agility and speed were astonishing. Discovered in 1840 during the French Antarctic expedition led by Jules Dumont d’Urville, Adélie penguins are excellent swimmers as well as being adept on land. They breed on land in the warmer months and spend winter in the sea ice. They are also capable of walking long distances across ice to reach their colonies, occasionally sliding on their belly where there is sufficient snow covering. During Shackleton’s Nimrod expedition a year or so earlier, the Adélies had won over everyone with their humanlike antics. 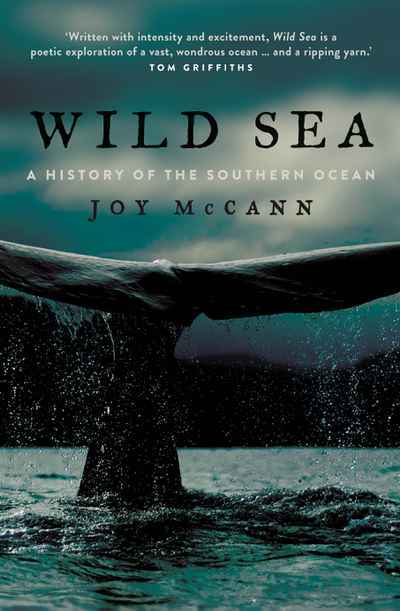 T. W. Edgeworth David, the expedition’s chief scientist, wrote, “They are the dearest, quaintest, and most winsome birds imaginable.” They would come running up to the men, waving their flippers as if to signal for them to wait, and occasionally tripping over in their haste. 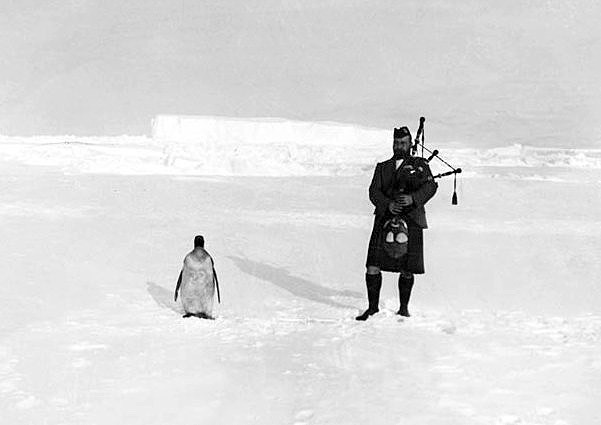 Shackleton’s expedition artist, George Marston, would mimic their movements, then lead them in a procession over the ice, issuing orders as they copied him with a series of military-like maneuvers that brought roars of laughter and applause from the men and, no doubt, confusion to the penguins.